The transit Sun has left the zodiac of Scorpio and is now travelling through the sign of Sagittarius. Sagittarius is the ninth astrological sign on the horoscope charts and is a mutable sign ruled by Jupiter. Astrologers believe Sagittarius exemplifies generosity and a great sense of humour but can suffer from impatience at times. People born under this sign are said to prefer philosophy, freedom and travel over little details and clingy people. According to astrologer Marina of MarStar Astrology Insights, the Sun has entered one of the most positive and inspiring signs of the zodiac. When the Sun passes through Sagittarius, the astrologer said the time is perfect to concentrate on your ambitions and dream beyond. Joining the Sun in Sagittarius today is the gas giant Jupiter – the sign’s ruling planet. Jupiter in astrology is considered to be the planet of hope, idealism and wisdom. Marina believes the Sun and Jupiter together form a great combination thanks to the Sagittarius connection. The next astrological aspect to look out for is the Moon in Taurus. Taurus is the second sign of the zodiac and is a fixed sign ruled over by the planet Venus. 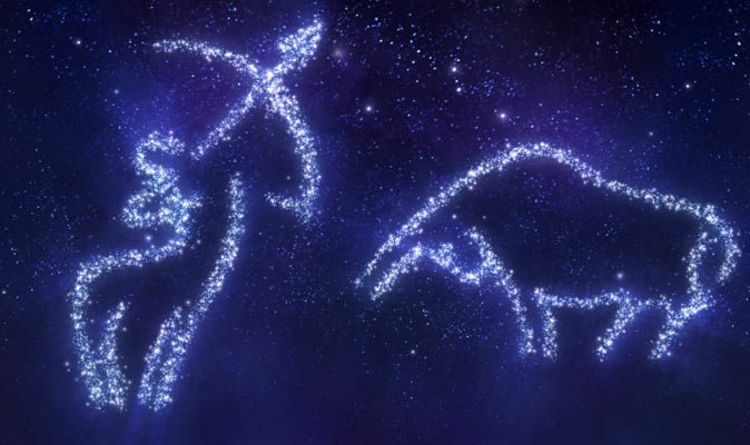 The zodiac sign is considered both reliable and stubborn, devoted and possessive and uncompromising when need be. Marina said: “Today the transit Moon is in Taurus, one of the most stable signs – maybe even the most stable sign because it's both an earth and fixed sign. “Today we can be very concentrated, very patient. “The risk is sometimes Taurus can make us a little bit passive, so don’t let this discourage you because these are things which pass. “But at the same time, you can use this position of the Moon to concentrate on your physical body, or maybe improving your diet, or your health, or doing something which will help you to feel more comfortable. “So that’s the most important today.